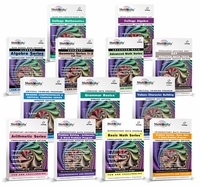 MathMedia programs are designed to be an integral part of the math and reading curriculum in schools, institutions and other group learning environments (after school programs, adult educational facilities, learning centers) before, during, and after regular instructional hours. We help teachers teach. 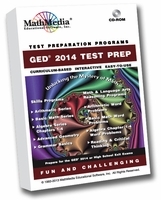 Teachers can use MathMedia programs as instructional aides to introduce new material or for review. Teachers can provide individualized or group learning experiences to students based on their placement, ability, knowledge or absences. We help students learn. Students can work at their own pace and ability level, providing each student with confidence, success, and motivation to learn more. By adding MathMedia programs to resource centers, math labs and libraries, students review, practice and master math and reading concepts. Students can easily find and make up material missed due to absences. MathMedia programs get students involved in their own education by tracking progress and score reporting. We offer schools versatility as well as economy. Schools use MathMedia programs via individual workstations, or a local area network, or online subscriptions. On-site licenses are based upon the number of computers running MathMedia software and are installed from a CD or USB flash drive or downloadable either onto a network or onto individual workstations. Prices for 10, 20, and 30 computers are below and may be purchased here on this website. 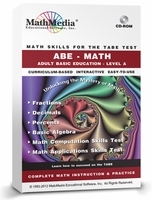 For custom quantities, please contact: sales@mathmedia.com. Help anytime; just call 888-448-6700 or email support@mathmedia.com . We will help you choose the appropriate options for your school or institution.